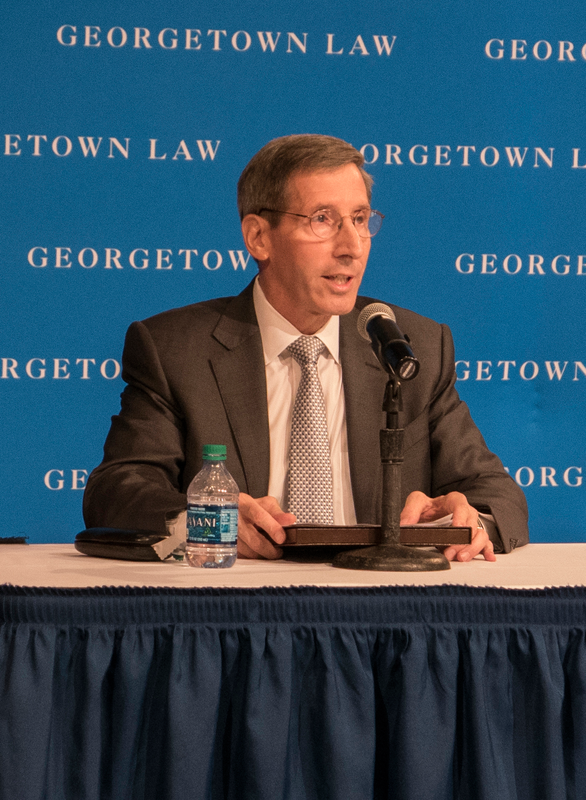 The Federal Trade Commission began its Hearings on Competition and Consumer Protection in the 21st Century with a full-day session, co-sponsored with and held at the Georgetown University Law Center, on September 13, 2018. The Georgetown event was the first in a series of hearings that will examine whether broad-based changes in the economy, evolving business practices, new technologies, or international developments might require adjustments to competition and consumer protection enforcement priorities of the Commission. Many sessions will conclude with an opportunity for those attending the event in-person to submit questions to the participants. These public events, in conjunction with the public comment process, will provide the FTC with a broad and diverse range of viewpoints and stimulate evaluation of key enforcement and policy issues. the analysis of vertical mergers. This hearing was initially scheduled for September 13-14, 2018, but the second day sessions were rescheduled to November 1 due to inclement weather. We welcome people with disabilities. The FTC will accommodate as many attendees as possible; however, admittance will be limited to seating availability. Reasonable accommodations for people with disabilities are available upon request. Requests for accommodations should be submitted to Elizabeth Kraszewski via email at ekraszewski@ftc.govor by phone at (202) 326-3087. Such requests should include a detailed description of the accommodation needed. In addition, please allow at least five business days advance notice for accommodation requests; last minute requests will be accepted but may not be possible to accommodate. If parties already filed relevant comments in response to the Initial Topics for Comment, they need not refile those comments here.